Contemporary with support in all the right places this reclining chair has it all. A swivel glider base allows you to move side to side and back and forth for relaxing movement. 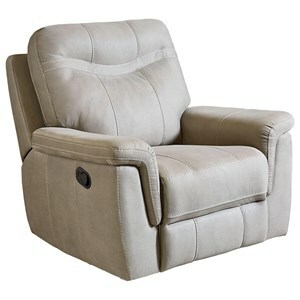 With power recline you can sit back effortlessly with the simple press of a button. 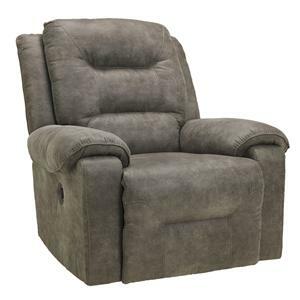 The Valley Forge II Contemporary Swivel Glider Power Recliner by Palliser at Olinde's Furniture in the Baton Rouge and Lafayette, Louisiana area. Product availability may vary. Contact us for the most current availability on this product.